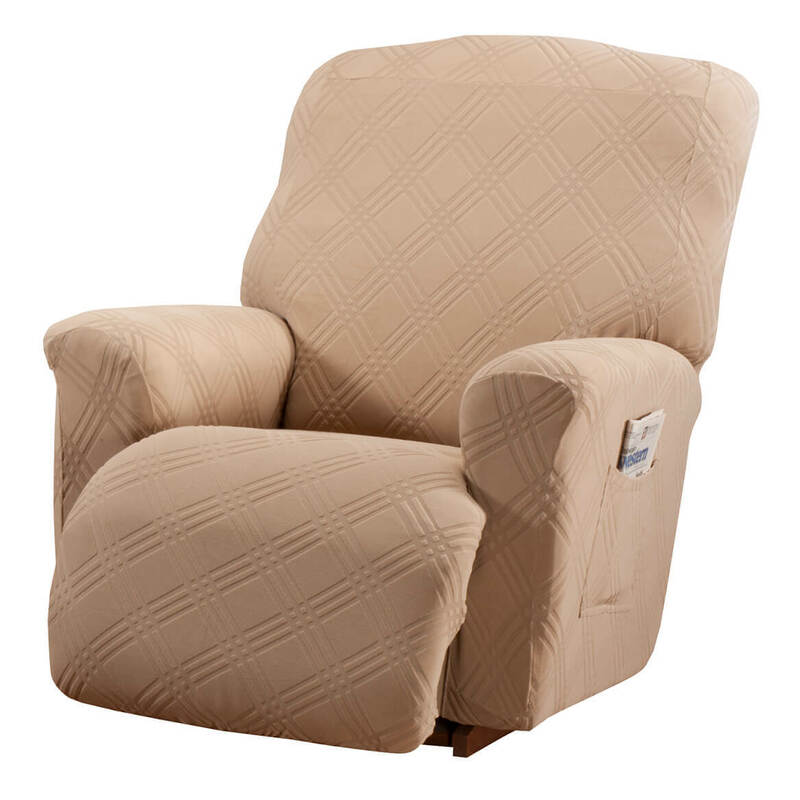 I have two of these Sherpa Recliner protectors & I use them every day.... They feel wonderful,the fabric on my chairs are harsh & irritated my arms, it doesn't anymore :-) Thankyou very much :-) D.K. I was very pleased with the Sherpa Protector I ordered!!! Great product! Fast shipping! Great seller! Thank you! I use it in my den, on my favorite recliner. My recliner is very old and worn. 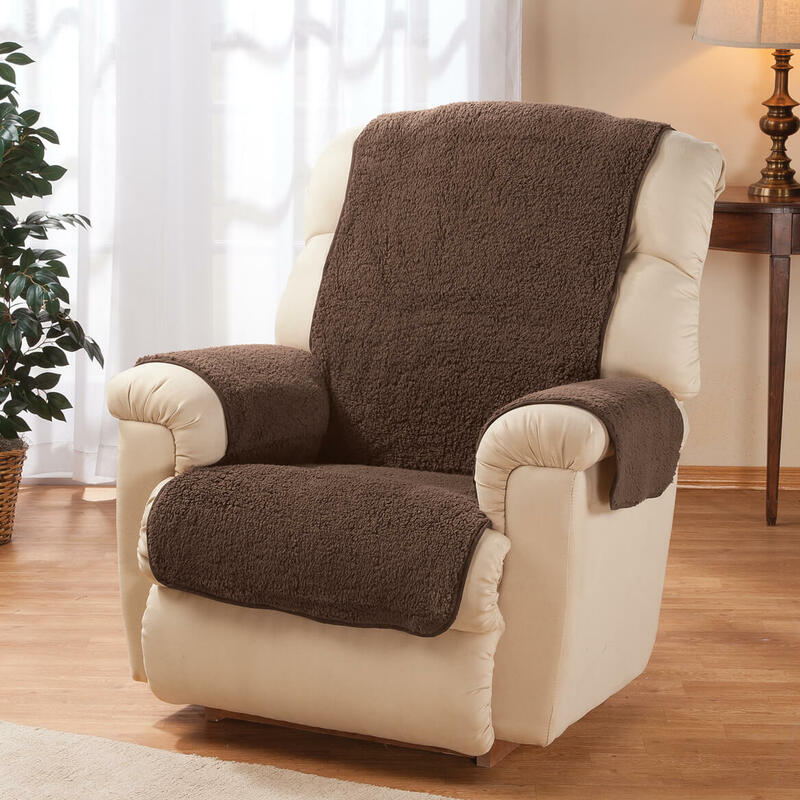 When I added the Sherpa Recliner Protector by OakRidge Comforts™ it made my recliner look new again! It is soft, comfortable, and stays in place. It's very soft & warm. Stays on well. It's very soft & warm. Stays on well. Good coverage. I LOVE THE COVER. IT DEFINITELY ENHANCES MY CHAIR. THE SHERPA RECLINER PROTECTOR FITS PERFECTLY. I DON'T HAVE ANY COMPLAINTS. The recliner covers look really nice on my new chairs and the color goes well with my drapes. They are soft and fit well. Sometimes they don't always stay tucked in, but overall they are great. IT is very comfortable and protective on my recliner. 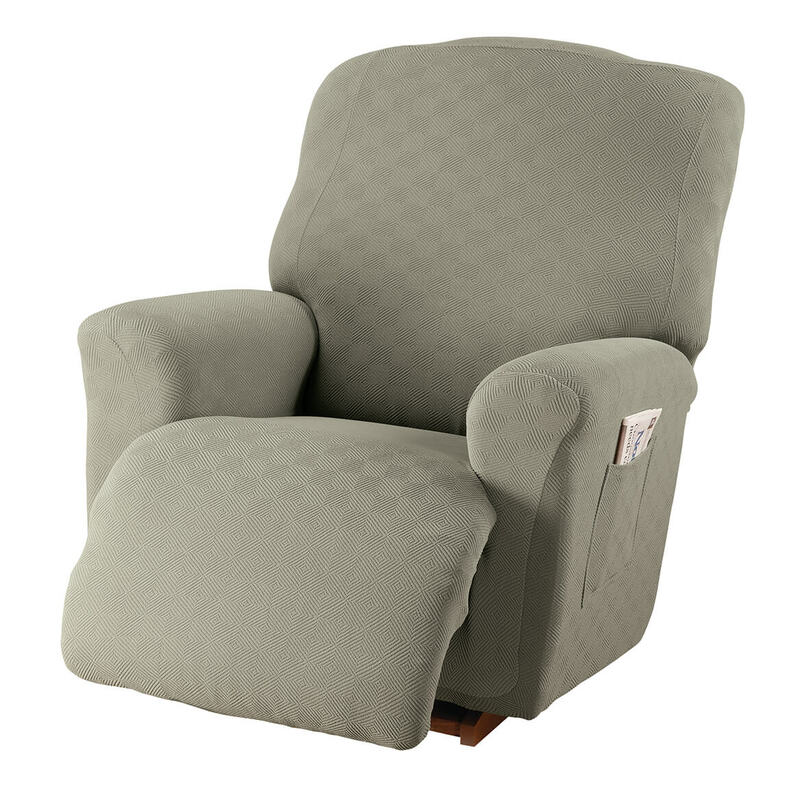 Very comfortable and fits my recliner perfect. 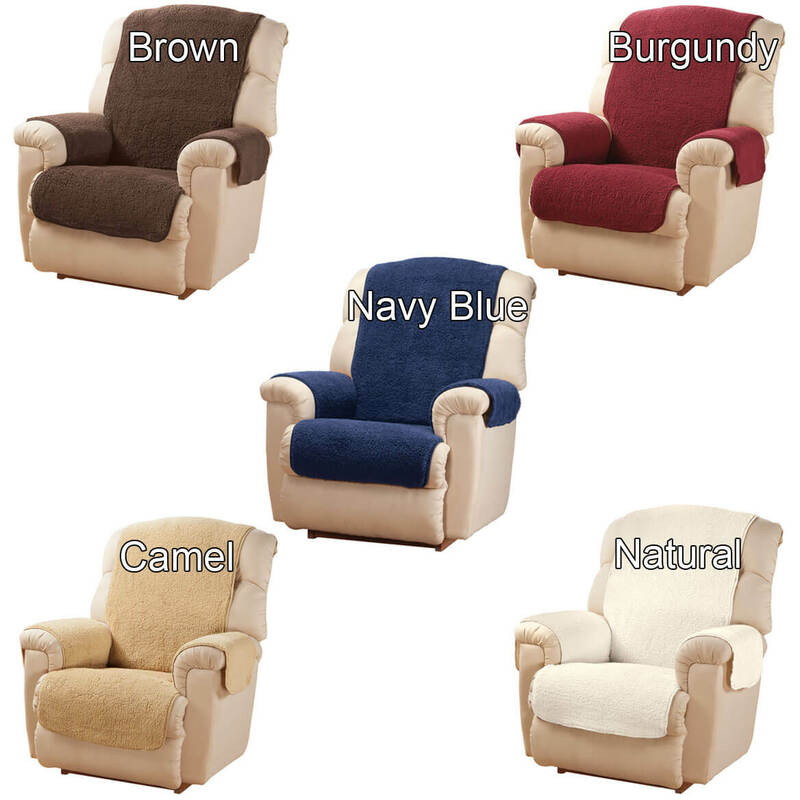 this product is comfortable regardless of season and great with animals. I was very pleased with the material and the size. My recliner is a LazyBoy Oasis which is large, but it was plenty big enough to cover it. I bought a fairly expensive reclining loveseat. In order to protect it, I got two recliner covers, which I use together, after tucking one armrest cover of each under its own seat. The only thing about it which I would change would be some sort of anchor so that it doesn't become disarrayed so easily. Goes great on my turquoise chair and it' feels nice and soft. Great price for this product! I have nothing negative to say about this recliner protector. Well worth the money & so soft. 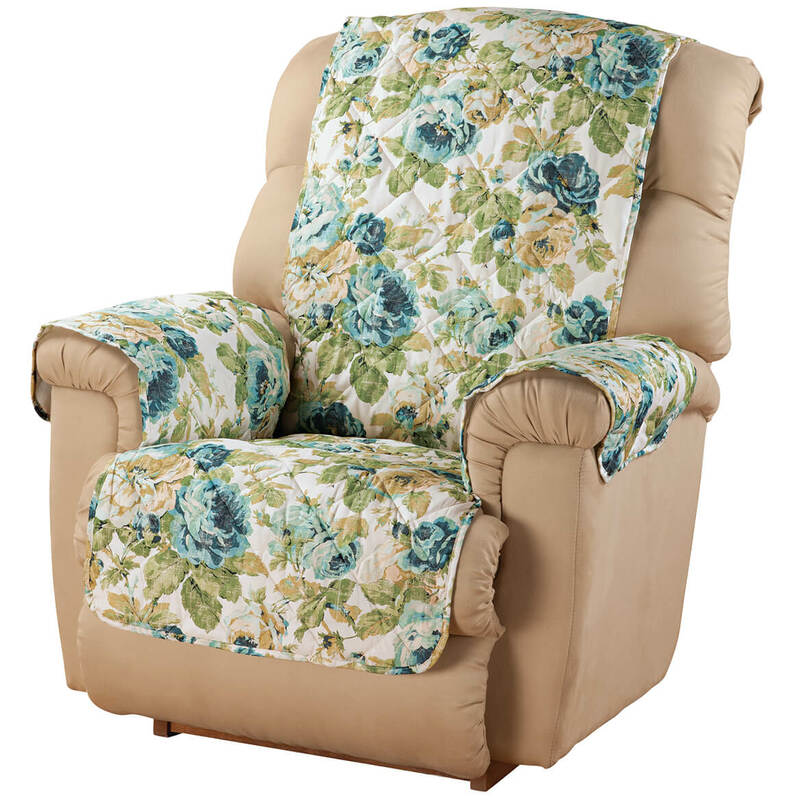 I bought it for my mother-in-law to use on her lift chair as she almost lives in the chair. She eats a lot of her meals there and she had been using towels as protection but this item is working much better. I only wish now that I would have bought 2 of them so she could wash one. It fit perfectly without any problems. These covers are soft, economical & very attractive - I am thinking of buying the sofa version for myself! It really dresses up the chair!! It was affordable, easy to order, and I could not believe how fast it got to me. protective cover of my recliner. Be sure to use the 'tabs' that are underneath the fabric. You'll get the best and tightest fit by doing so. This is what I expected and wanted, works great if you have dogs. Bought it for myself, thinking it had elastic straps to hold it in place. It didn't, and would not stay on my leather recliner. However, I took to my mom, who stays cold all the time, and we put it on her fabric recliner. Worked great and she loves it. We are ordering another for my dad. The recliner protector made my chair much more comfortable. Want to use it as a blanket. This item is very soft I want to wrap up in it, It is a bit thin, but very warm. This sherepa cover goes on my recliner very nicely but it is not enough padding to really comfort you but it will help to keep the fabric clean. This recliner cover looks good and fits well on my man cave chair. The previous one I had ordered from MK was too flimsy and bunched up after sitting, it is of no use to me now. Stays on the chair great. It is pulling on the arm area where my husband's watch catches the material. I bought a few.Nicest one yet. Needs to have a longer flap to tuck in. This really keeps the dirt and the dog off the recliner, yet still looks good on it. Easy to wash and on-off. And comfortable. I got 2 of the brown ones .One for each of my recliners. They're even nicer than I was expecting. Very soft & comfy. Study the photo before you complain! Note the recliner in the promo photo above is fabric NOT a slick material like leather or pleather. Common sense tells you that the item will NOT stay in place on a slick surface. The problem is not the item, but the expectation that it will do something it's not designed to do. I USE IT TO COVER A NEW CHAIR..SO OUR DOG CAN SIT IN THE CHAIR, IT FITS GREAT, THE COLOR IF PERFECT. I LOVE THE FELL. THE DOG LIKES TOO. Good unit as long as not used on leather or vinyl. Was a Christmas gift to my 88 year old Father. He said you can keep it as I have no use for this whatsoever as it will not stay put on the chair and is too much trouble. You have to re-position it every time you sit down as it falls down in the back and rides up in the seat. My father spends 80% of his days in his recliner and even sleeps in it. If only this had some time of adhesive or fasteners to affix it to the chair. I also bought one for my Mother, and she gracefully accepted it, but still has to re-do it every time she sits down. 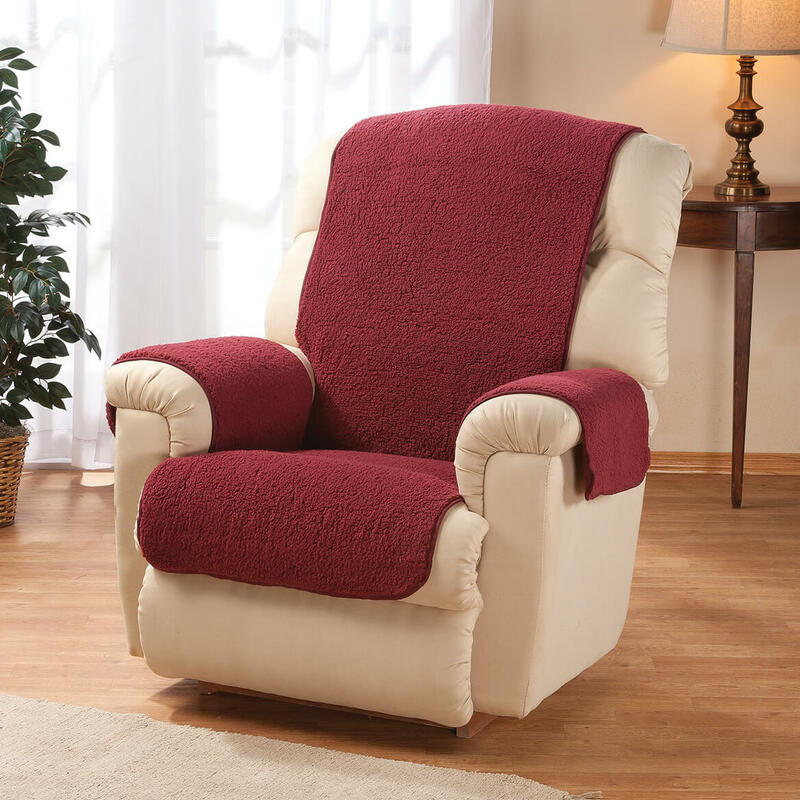 This product is very soft, durable and comfortable to sit on however you have to constantly reposition it when you get off the chair, it moves easily out of place. needs something to tack it to the chair. I put this cover on the chair, but I experience sore bottom. I need thicker Sherpa. I ended up placing a thick rug on top of the cover. It's a good product it needs straps to fit around the recliner. I'm using this on my recliner. It sticks to my clothes and it all comes off when I stand up. I will be buying some velcro to solve this problem, but I shouldn't have to. I bought this for my new leather recliner. It feels good and looks good. However, I thought it would stay put but, like other reviews, it didn't. I put elastic on the back but that didn't work either. I just folded it up and put it on the seat of the chair to make it warmer. Although the design and size works well the item is thinner than expected and I believe will fall apart quickly. It Is Not Really Meant To Be Sat On! I placed the cover on a brown leather recliner, but once someone sat down, the top fell down into the seat. I did not know there wasn't any way of securing it to the chair (like an elastic strap or something). Should make one of heavy quilted material. Perhaps weight it down on the edges and for the tuck in. Keep it from slipping loose and make it lay down better. 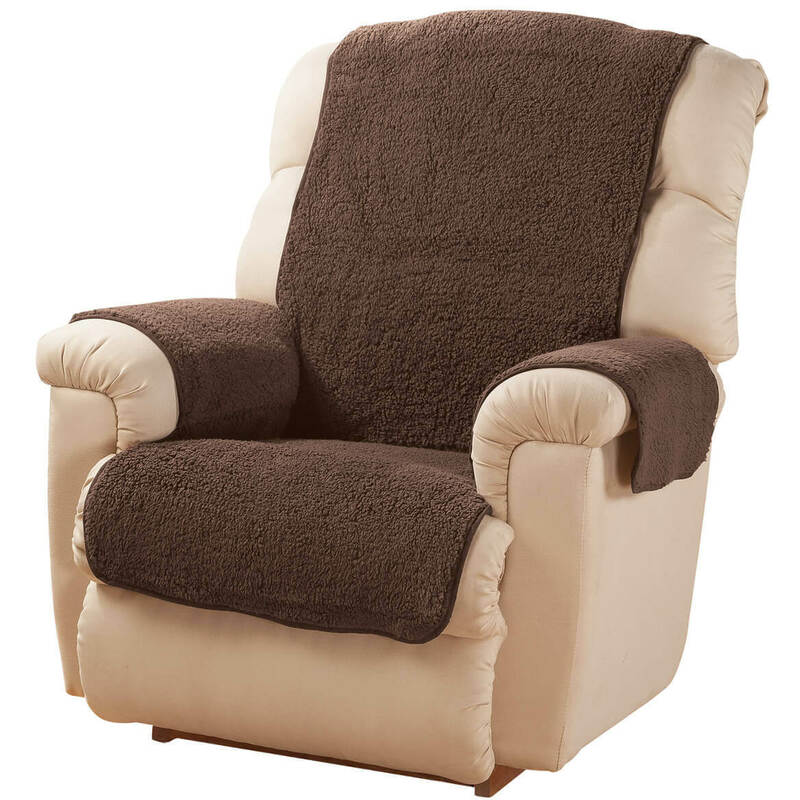 Loved the softness but had to adjust every time I sat in the recliner. Very annoying. Had to return for a refund. This product was so cheaply made.The material was very thin and due to stactic it stuck to everything. Wouldn't stay on chair. The material makes the recliner just too warm, Will return. 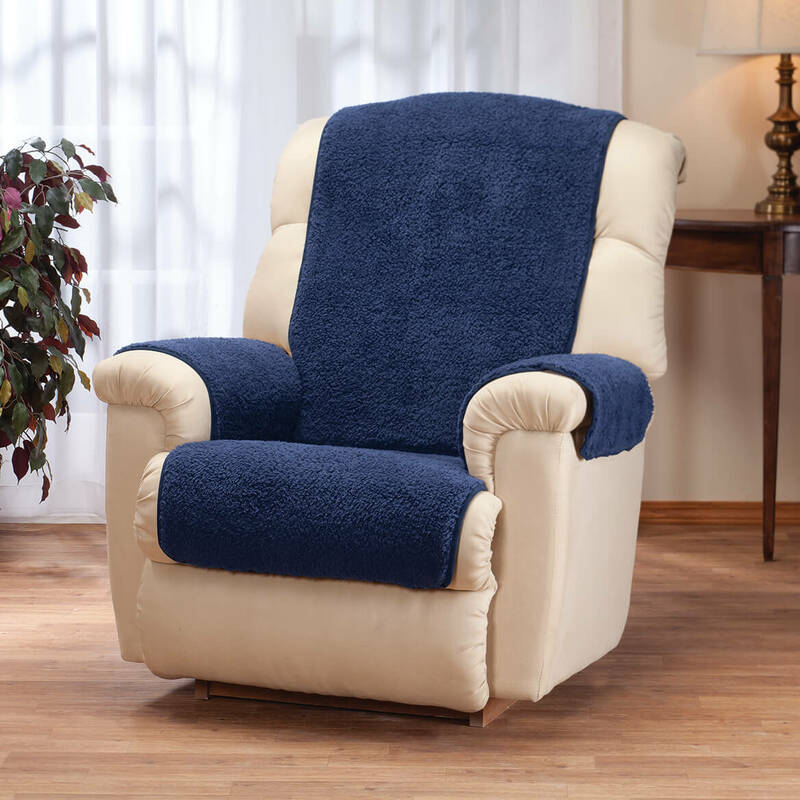 The cover will be easy to wash and will keep the recliner clean. This was purchased to cover a recliner. My husband says it is too hot to sit on. Also, it does not stay put, it moves around whenever he sits on it. He is very unhappy with this purchase. This doesn't have straps to hold it onto chair, just lays on top and when you move it falls off the back and always having to adjust it. Can't send it back because they want $13 to ship it back. Will not stay in place, as soon as you sit in the chair they slip off and bunch up behind you. i was HORRIFIED at the workmanship, material, fit....etc. of this product! The color is okay but the material is flimsy and doesn't stay in place. Use it to wash the car. 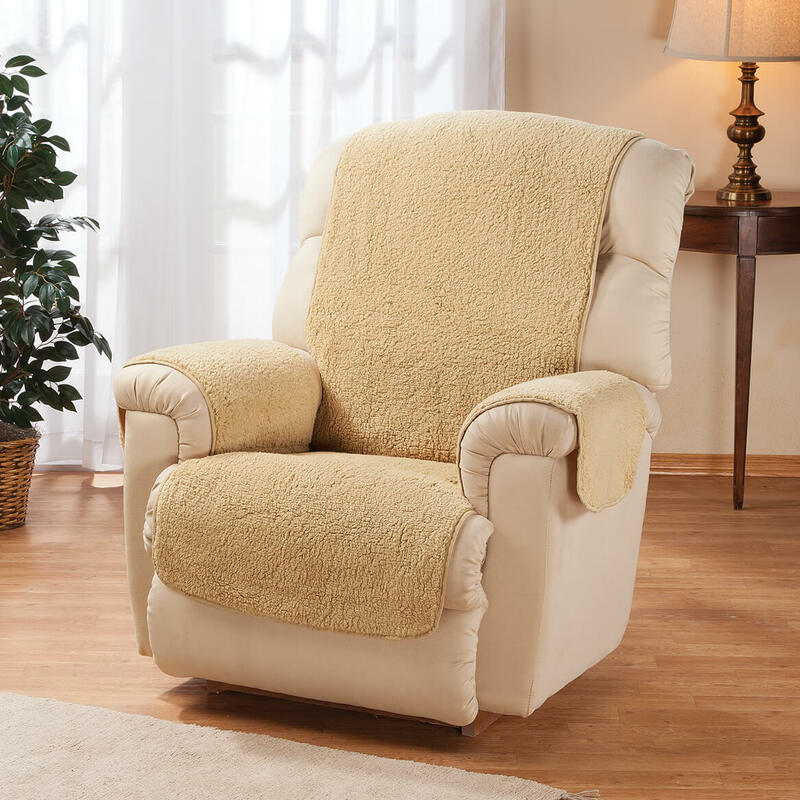 The best comments I can give this Sherpa Chair Cover, is that the color was good and that it will make a nice dust rag! The material was very POOR quality, flimsy, without any backing at all. Unfortuantely, I bought two--what a waste of money. Will try to get the company to allow me to return products, but I refuse to put any money in this item---even the return shipping. This is a very poor quality item. The plasitc zipper bag it came in, was better quality than the item itself!!! Don't waste your money!!! Would not buy this Sherpa Recliner protector again. Will not stay put on recliner. Looks like a rag. Extremely Thin. Would not fit on my recliner. At all. Protective cover looks cheap due to uneven cut on bottom of seat area. Would not stay in place due to light weight. Shipping cost is expensive! As a new customer, no discount was given. Experience not a good one. It wasn't until AFTER I received the slipcover that instructions said to 'place a non-skid pad on top of the seat cushions between furniture and the slipcover'. The catalog did not specify this for leather furniture. I do not want to have several pieces of pads falling out from between the slipcover and recliner arms and top of the back. I am presently waiting for a postage-paid return label to return the slipcover. When buyers are purchasing this product they need to know that it most likely will not stay put on a leather recliner. It is obvious that it is better for a cloth chair. The material seems to be adequate for comfort and looks. This product was a great disappointment to my husband for whom it was purchased. I have a recliner that I would like to preserve the fabric on. I am happy that the color burgundy was a choice as it will match well. I had purchased one like it before!! Hopeful this will work for a rocking chair cover. It stays on the chair well. It doesn't slip off. I've purchased it before. 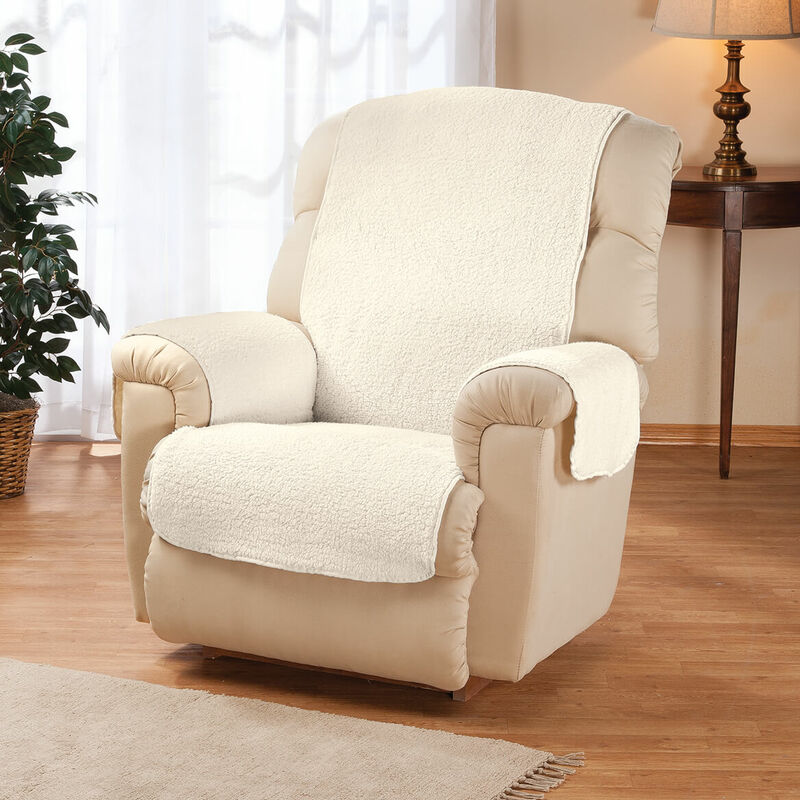 I have a light colored recliner that I've already had recovered once. We'll start using it again to rock our new grandchild in. Just want to keep it clean! Cause it looks great! And my honey loves it!! We have 5 dogs and two new recliners and need this to protect our new recliners from the dogs. because covering my new chair with sheets or blankets do not work well. I have a nice recliner and my husband needs a protective cover for when he relaxes after work. Help keep my lite colored chair from stains. It seems just perfect for our new chair. And the people who wrote about it seemed happy with it also. And the price of course looked good too. It will protect my recliner chair upholstery. It was priced appropriately for the value received. I think it would be a great addition to my husband's favorite chair; we live in a cold climate and leather seems to stay cold. Can not wait to receive this. Sounds cozy. It provides a practical solution to protecting the surface material of a frequently used piece of furniture! because it was a good choice and i like the surface it covers. Was looking for one for my mom recliner. I liked that it came in burgundy color. Again we have a dog and want to protect the chair. I just needed something for my cat hair to cling to rather than my Velour sofa and recliner. We received 2 new recliners, We have three dogs and want to protect the new furniture. Walter Drake website made it very easy to review available pet protectors and their prices were very good. I look forward to receiving the protectors. 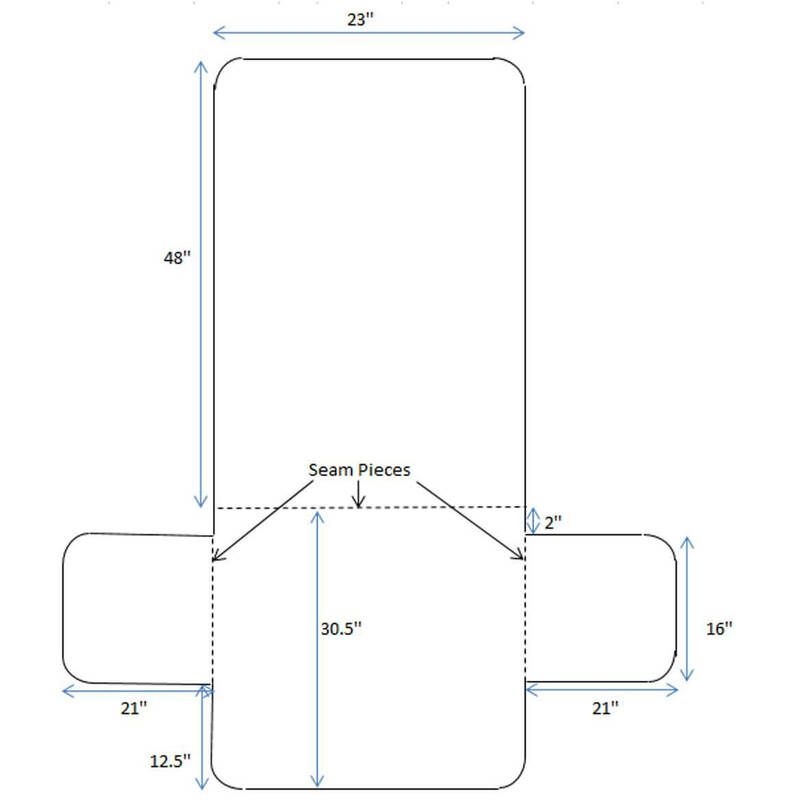 need 78"x19" w is it available ? BEST ANSWER: Thank you for your question. 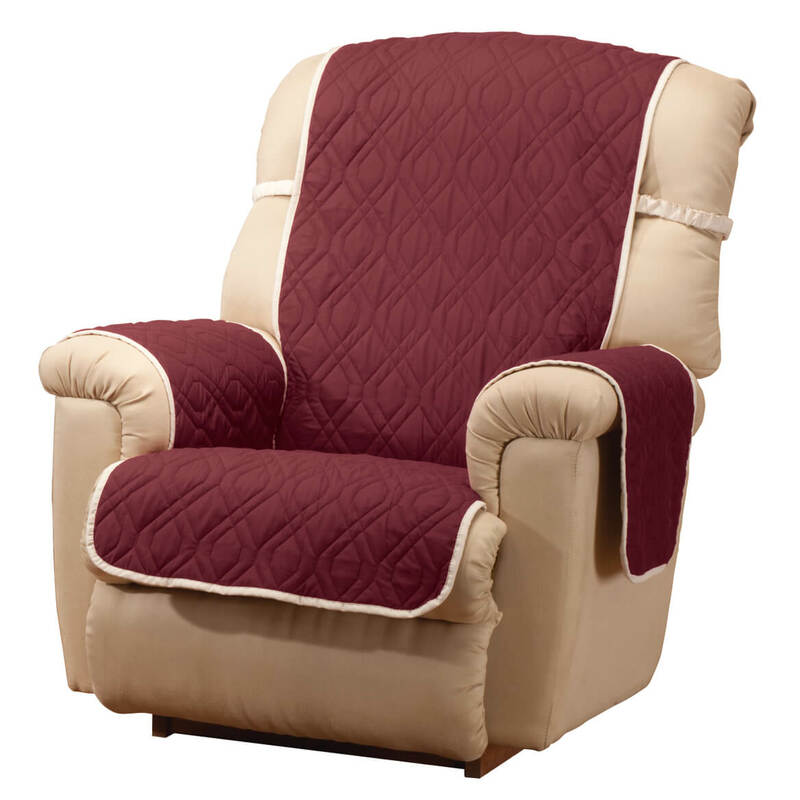 The Sherpa recliner protector comes in one size and the size is 78" long by 24" wide. We hope this information will be of help to you. is this cover appropriate for a lift chair? i think it would work fine if the headrest portion we're held in place by twist pins. They can be found in any fabric store or sewing section. Mine works great and is very comfortable. It clings we'll to the fabric of the chair. does this cover STAY ON the chair or does it easily move around? Bunch up? This cover clings to the chair very well. It is also very generously sized. I liked it so much that I ordered a second cover. It washes & dries with no noticeable shrinkage. No....stays put pretty well. You could also buy some upholstery screws to secure them so the definitely won't move around. It stays where you put it. Until you are ready to remove it. It Moves around. I have to constantly straighten them. It easily moves around and/or bunches up. Will it damage the leather recliner? BEST ANSWER: Our sofa is fabric; but, I can't imagine it would do any damage to your leather recliner. I love ours....we have a small dog who is on the sofa with us all the time and once a week I toss it in our washer. No damage of any kind. It protect you chair from wear. Remove it to clean your leather and put it back on. My wife loves it. I recommend it. I have not had any problem with it damaging my leather recliner. In fact, I am certain that it is protecting it. Not at all it soft and doesn't have anything hat would hurt the chair. Will it stay on a leather chair? BEST ANSWER: Thank you for your question. We do not recommend using on leather furniture. We hope this information will be of help to you. no, and it doesn't stay on a suede recliner. we have given up using it and it will go on our yard sale. BEST ANSWER: Thank you for your question. This item does not cling, chair cover tucks in for a secure fit. We hope this information will be of help to you. Are you asking if it will stay put, no. witch one's have pockets on right side? are the arm covers attached? BEST ANSWER: yes it's a one piece unit. Love this product, in fact I now have two. BEST ANSWER: Thank you for your question. 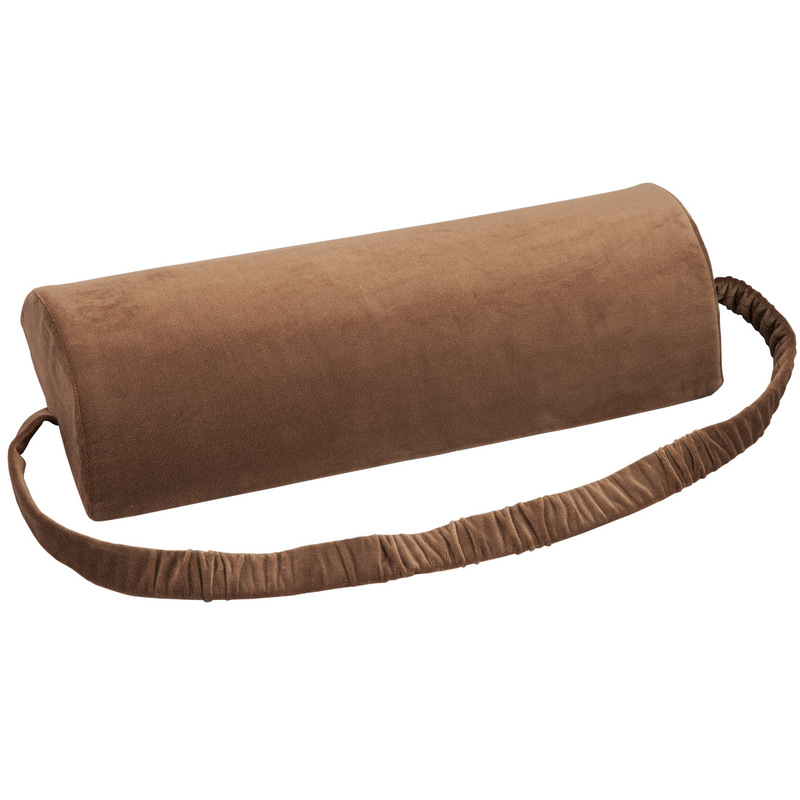 Yes we do carry the recliner protector in burgundy. We hope this information will be of help to you. DO YOU HAVE THEM FOR OVERSIZE RECLINERS. TRADITIONAL SHERPA FURNITURE COVERS. AND 24' WIDE DOSE THAT COVER JUST THE SEAT OR THE ARMS TO?